Wherever New York Republicans gather these days, you are likely to find Nicholas A. Langworthy. The Erie County GOP chairman is making the rounds in nearby Niagara County – and across the state on Long Island. He buttonholes party leaders around the Southern Tier, the Capital District, the North Country and through the five boroughs, too. At a time when the New York State Republican Party may have hit rock bottom, Langworthy wants to be its chairman. He has issued no formal declaration of candidacy and keeps his efforts low-key, but Langworthy is nevertheless mounting an all-out effort to replace veteran Edward F. Cox as state party leader. Cox, meanwhile, makes it clear he’s not going anywhere. And that sets up the potential for a major showdown when the Republican State Committee next convenes in July. Still, his effort represents the most serious challenge to Cox in the chairman’s decade-long reign. And it offers a classic confrontation on many levels. Cox, whose family boasts Mayfloweresque roots and who is the son-in-law of the late President Richard M. Nixon, is 72. Langworthy, the son of a Jamestown tavern owner and Pine Valley Central School graduate, is 38. The lack of any statewide Republican victory since George E. Pataki as governor in 2002, coupled with last year’s loss of the party’s last bastion of power – the State Senate – prompts Langworthy’s challenge. To bolster his case, he points to a string of Republican victories in Erie County, where Democrats hold an advantage of about 135,000 voters. He often wins in a county reflecting the same political demographics as New York State, he argues, and can do it statewide, too. After all the losses, especially the GOP’s national and state drubbing in 2018, Langworthy says the party can no longer maintain the status quo. “An awful lot of people want to see a bolder direction for our party,” he said. “That requires change. Cox declined to comment for this story. But he is known to be solidifying substantial support, prompting allies to predict he will ultimately prevail. Cox is also hoping that influential GOP strongholds like Suffolk, Westchester, Monroe and Broome counties will eventually steer into his column. Backers also point to a detailed plan party leaders have drafted to directly address many of the challenges faced by the party, and – given tension between Gov. Andrew M. Cuomo and some Democrats – to at least install enough members in the State Legislature to override gubernatorial vetoes. 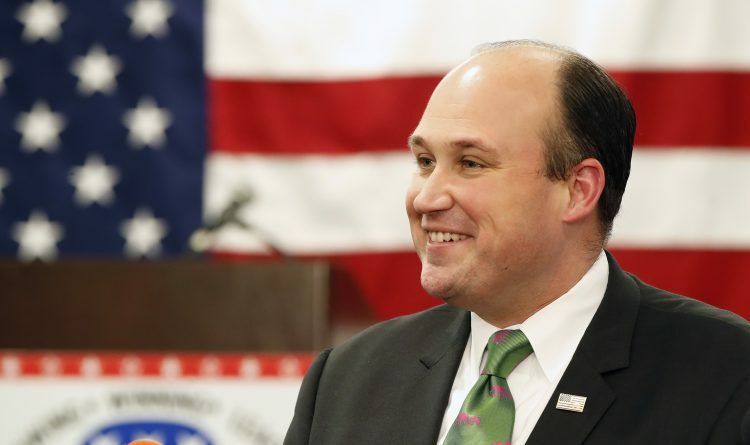 Westchester County Republican Chairman Douglas A. Colety remains confident that Cox will weather Langworthy's challenge. Pointing to his organization's long association with the incumbent, Colety insists the state organization is successfully grooming local candidates on its "farm team" for higher offices. "I have made it very clear to Chairman Langworthy that I support Chairman Cox, that we have a very good relationship with him and that he has been very supportive of our candidates," Colety said. "It's a difficult state to win, but the Republican Party does very well at the local level." Another Republican, John Jay LaValle of Suffolk County, points to Cox's Long Island roots and his constant fundraising in New York City and the Hamptons as part of the incumbent's strengths. LaValle has just resigned as county chairman and has said he would be interested in the state chairmanship should Cox retire, but with no such indication, believes it is unfair to blame him for losses in an increasingly Democratic state. "We live in New York, a very blue state, and it's difficult to recruit statewide candidates," he said. "But there certainly appears to be a lot of support for Chairman Cox here in Suffolk County." Princeton graduate Cox has long ties throughout the party, serving as John McCain’s New York campaign manager for the 2008 presidential election. He also boasts a record of environmental activism and serves as a State University of New York trustee. Langworthy has dwelled in political circles since his undergraduate days at Niagara University, where he founded and led the College Republicans. He worked on the staffs of former Reps. Thomas M. Reynolds and Chris Lee, becoming chairman of upstate New York’s largest Republican organization in 2010 when he was only 29. He was a major force behind Carl P. Paladino’s gubernatorial victory in the 2010 GOP primary. Some consider Paladino an asset to Langworthy’s effort, while other Republicans consider him a liability because of his controversial comments. But Langworthy is making progress, counting top Republicans like Rep. Tom Reed of Corning as supporters. Some of Cox’s strongest supporters point out that nobody from Buffalo has led the state party since Edwin F. Jaeckle in 1944 – for good reason. They question if Langworthy could thrive in a state dominated by New York City, noting that the party’s top donors still dwell in Cox’s Manhattan turf. But Reed sees it differently. “If the heart of the Republican Party is upstate, we need a different model for an upstate-driven party,” he said. Chemung County Chairman Rodney J. Strange believes Langworthy has proven his abilities in a Democratic county like Erie, where three countywide officials have won on the GOP line. Party rules preclude Langworthy from serving as both state and county chairman should he succeed in gaining the top spot. 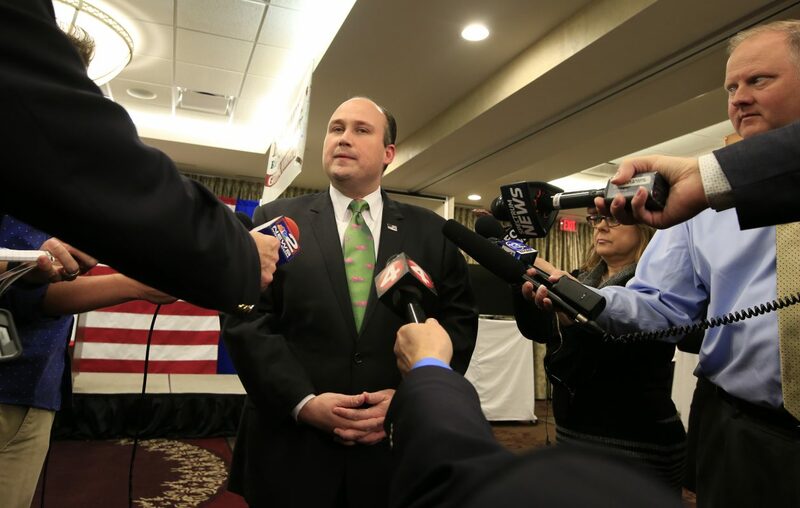 Those rules could be changed, however, so it is not now known whether a Langworthy victory would result in new leadership for Erie County Republicans.